Michael Price - Tender Symmetry. Vinyl LP, CD. Bleep. 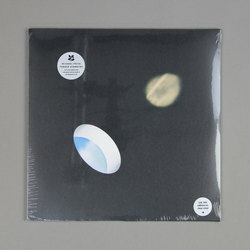 Michael Price’s second LP for Erased Tapes (Nils Frahm, Rival Consoles) is a rich album of contemporary classical music. The Emmy Award-winning composer searched high and low for the perfect locations in which to record Tender Symmetry. We mean that literally - abbeys and caves were among the spots that were turned into spontaneous recording studios in order to cut these seven tracks. Price largely uses choir and strings here, forging dense chamber pieces that touch on the mid-scale vocal works of Benjamin Britten and John Tavener. The likes of ‘Sandham’ are beautiful numbers that move between quiet bass drones and sections of rich polyphony.